We are midwesterners, so we understand how fragile most of these structures are. They are remote. They are owned by people who use them for a purpose, not fawn over them for their aesthetic value. They have no publicity machine behind them. 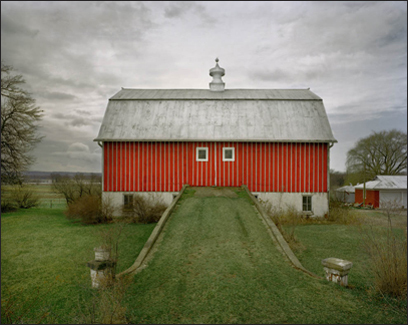 Michael Eastmen captures decaying vernacular American architecture in his new show and book Vanishing America. The show runs through July 19 at DNJ Gallery in Los Angeles.